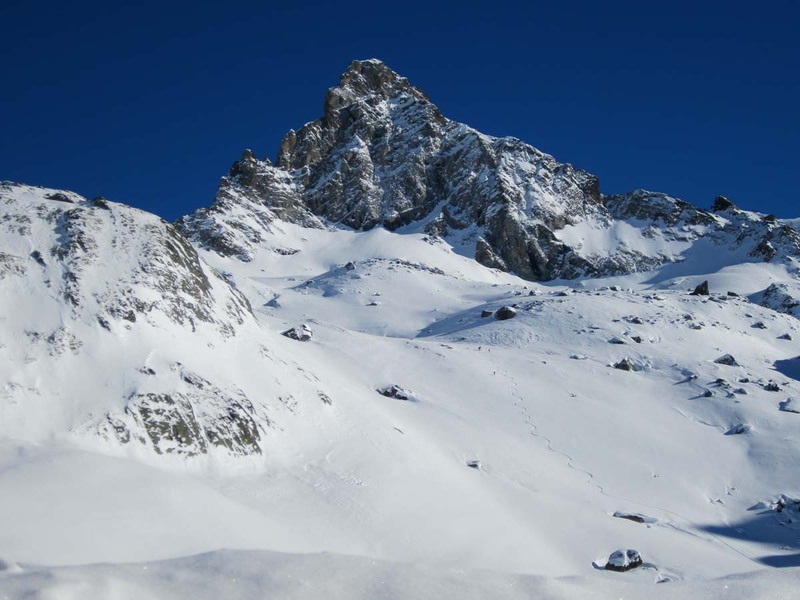 Ski touring in the Alps is an aspiration for anyone who loves mountains and skiing and there are more and more people of all ages, but particularly in the over 40 and 50 age category shunning the pistes for a more natural ski adventure every year! Touring on skis through the wintery, high mountain environment away from civilization with just clean, crisp mountain air, spectacular views and the odd chamois for company is probably one of the most therapeutic experiences out there. To be rewarded with a free ski down the side of a mountain through fresh virgin powder is the stuff dreams are made of. We can all dream about how wonderful this might be but actually embarking on a ski tour for the first time is quite a big step. How do you know if you’ll really like it? Will you be fit enough? What about skiing in difficult snow conditions and most importantly, how do you ensure your safety in a hostile winter mountain environment? Here are some thoughts to help you judge for yourself and some tips on how to get there if you’re not ready yet. There’s no getting away from the fact that without lifts to get you to the top of the mountain, you need to be fit to get up the mountain under your own steam. How fit you need to be will depend on what ski tour you plan on doing. The more metres you climb up, the bigger the descent will be so you will get out what you put in, but you don’t want to be so exhausted when you reach the top that you have no energy left to descend! Other factors that will impact on your fitness are the altitude, snow conditions and the weather. Skinning up 500 metres of ascent in perfect conditions is not the same as doing the same climb in a blizzard with deep powder and -20 degrees. If you live in a mountain or hilly area, the best training you can do to get fit for ski touring is walking or running in the mountains and doing as much ascent as you can. If you are confined to a gym for training then the cross trainer is the best substitute on a good hill climb program. As with all fitness training you can optimize the your training time by doing intervals with short bursts of intensive activity followed by recovery stints. You can also incorporate this into your daily life by doing things like running up the stairs. Londonders should try the Covent Garden tube station steps for a challenge! On a ski tour you will spend approximately 3 to 4 hours going uphill for every hour or 2 going down. The fitter you are the more you will enjoy your ski tour. If you are concerned about your fitness then choose a trip with a series of day tours that you can opt in and out of or with flexibility to take short cuts if it is too tough. Day tours also equal smaller ruck sacks - always a bonus! The dream conditions of fresh powdery white stuff do exist but invariably you will also encounter a variety of other snow conditions on a ski tour and you’ll need to be able to handle these different conditions safely. You can encounter ice, deep powder, snow covered with a hard breakable crust, slushy heavy snow and more. By understanding how snow changes with temperature and sun exposure it is possible to adapt your tour to try to optimse for best conditions and it is always a good idea to choose a tour or a series of day tours with the flexibility to do this. The steepness of the slopes will also vary and you can’t afford to be frozen with fear when you come across a steep part. Even if you end up side slipping down, that is better than staying stuck at the top! A good ski tourer will know a variety of techniques to get through different snow conditions. Style is not important but being safe and controlled is! If you have only ever skied on a groomed piste then it would be advisable to do some off piste lessons and experiment with different techniques and gain confidence before embarking on a ski tour. If you are worried about your ski ability or just want to re-discover your ski confidence then book in a few extra days before your tour in a nearby ski resort and get a guide for some intensive off piste coaching! 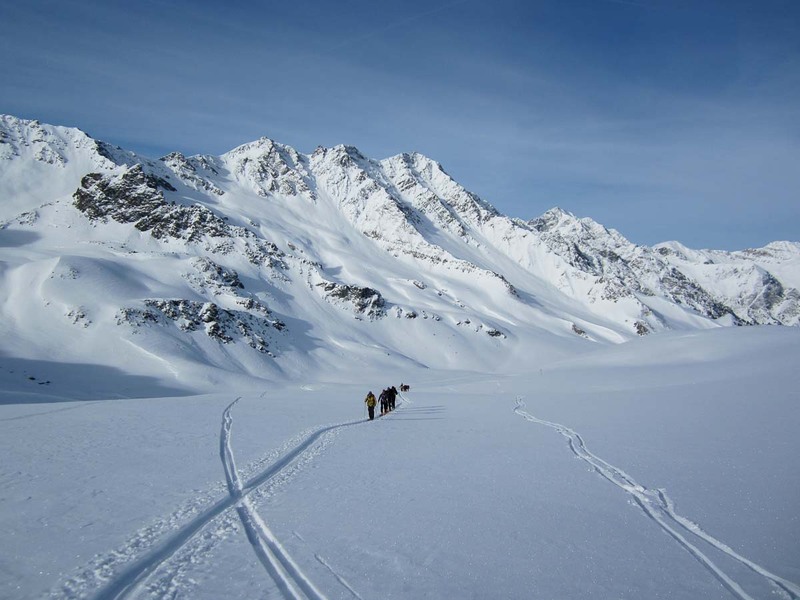 A guideline we give to first time ski-tourers is to be 100% confident on any red piste and have had some experience in different snow conditions off piste. 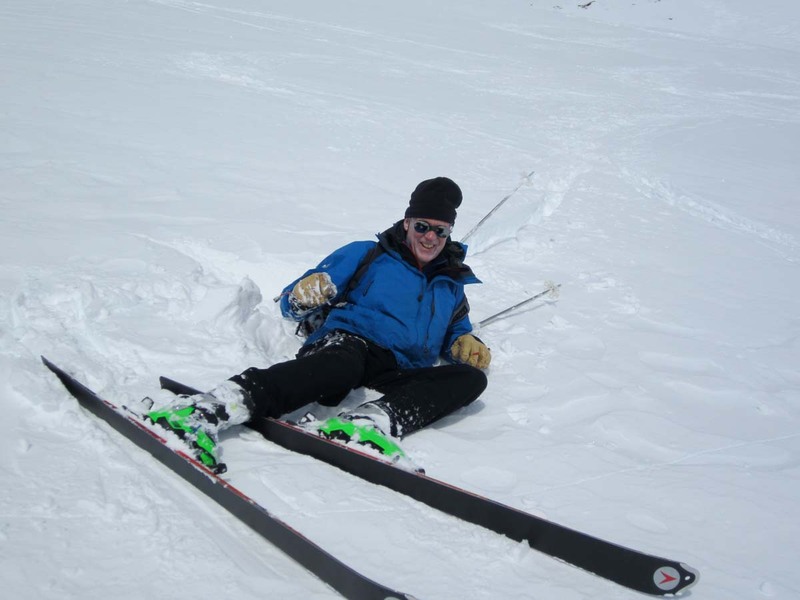 With those basics and a positive attitude you should be able to manage most beginner ski tours. We all start somewhere and you’ll only get better by doing so it is normal to expect a few cartwheels and head plants on your first tour! 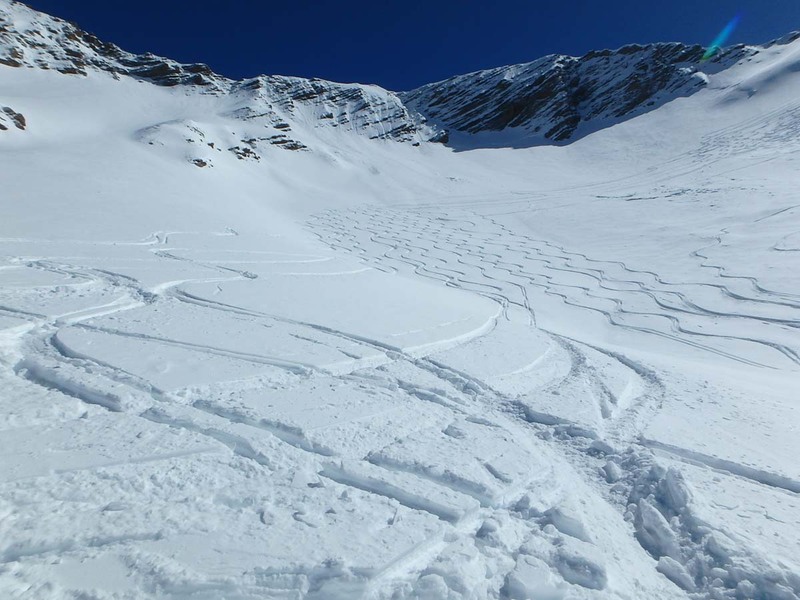 The biggest risks for ski tourers are avalanches, rock fall, bad weather and hitting a rock! Whilst you can minimize risk by checking the weather, the avalanche risk and choosing a route within your capabilities, there is no such thing as zero risk in the mountains! Local knowledge and experience count for a lot in the mountains so as a beginner it is highly recommended to choose a guide who is local to the area you are ski touring in. 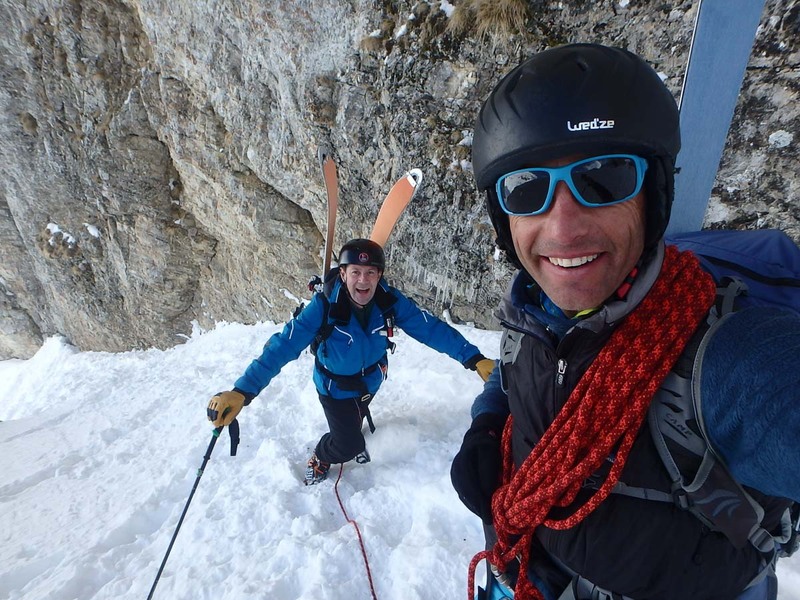 The qualification you should look for is a UIAGM high mountain guide rather than a standard ski instructor as guides are trained in avalanche risk and mountain safety. Read our guide to guides. Ski instructors are trained in ski technique and how to teach it and do have some training in avalanche risk and off piste security but not to the same degree as a guide. The ideal is to have both! Many guides are also ski instructors but not many ski instructors are guides so it is best to start off looking for a guide and then ask for one that is also a ski instructor! 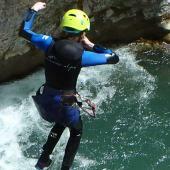 For all our ski touring trips we use a UIAGM high mountain guide who is also a ski instructor. So you have the passion, you can master a red piste, have some experience in different snow conditions, and you are fit enough, so what’s the next step? 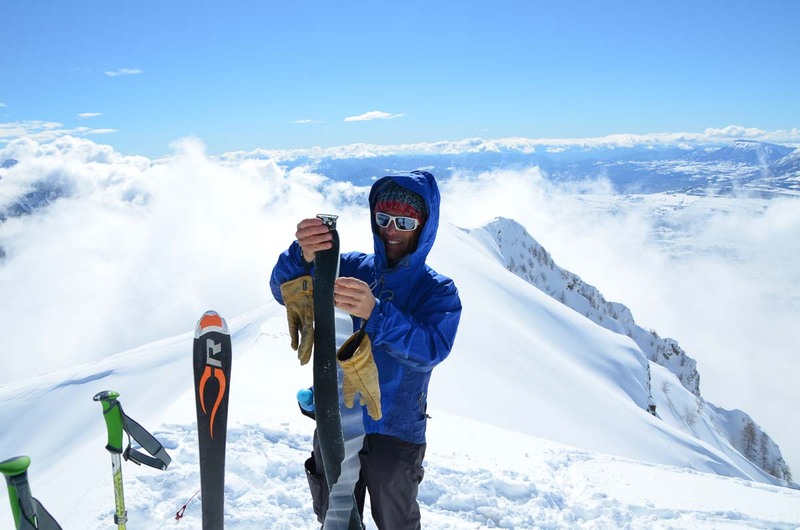 If you can afford it, the best way to start is to get a private guide who will be able to tailor a ski tour to suit your ability, needs and give you one on one coaching on technique, mountain safety and everything else you need to become a competent ski tourer. If you prefer to join a group of other ski tourers, then you will be locked into a fixed itinerary so make sure you read this carefully and choose one that you feel comfortable with. It is worth noting though that most itineraries are example itineraries and they will usually get adapted to suit local conditions. 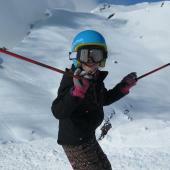 Choose a ski tour with a day of off piste training and avalanche safety at the beginning. This serves two purposes, you know that everyone on your trip has the basics in avalanche safety and search and rescue – always reassuring to know! 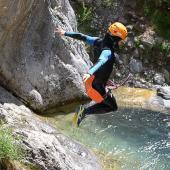 It also allows the guide to analyse everyone’s ski technique and thus adapt a tour to suit the group and avoid putting people in dangerous situations beyond their competencies as well as choosing optional challenges for those who wish! A series of day ski tours or a ski tour spending more than 1 night in a refuge rather than being restricted to a tour where you have to get from A to B each day offer more flexibility as you can opt in and out of certain days if you want to. 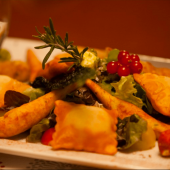 So what are you waiting for…! See you in the Alps!